Whether you are a residential or commercial owner, upkeeping your arboriculture is a great way to keep your lot looking fresh. When looking for what kind of maintenance does a tree need, look no further. A Tree Service can help! An essential aspect of proper tree maintenance is tree trimming. Getting rid of dead branches will assist in the best growth for your arboriculture. Hazardous limbs should also be removed for safety reasons. If there are tree limbs near powerlines, houses, above sidewalks, or driveways. You should talk to a professional about removing the potential damage makers before the risk becomes a claim. Arboriculture maintenance for disease and insect prevention will drastically increase your trees life. If you have any questions on management or prevention it would help for one of our professionals to stop by. We can treat diseases like Oak Wilt before they infect other trees. Also we can get rid of invasive species like EAB and treat the infection to ensure healthy arboriculture growth. Preparing for winter is a great way to maintain your trees during the frost. Blanketing new trees will help detour the frost and heavy snow that can break or damage trees. Trimming and pruning trees in winter will help ensure that diseases do not seep into the cuts from trimming. Putting down fertilizer before the frost comes will assist that even in the dormant season the arboriculture is receiving nutrients. If you have any questions or would like professional help, give A Tree Service a call today! 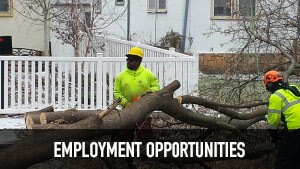 Call A Tree Services when you need to hire a professional Tree Care Company for your Minnesota property. This entry was posted in Minnesota Tree Company and tagged MN Tree Company, Tree Care Company Shoreview MN, Tree Insect & Disease Management MN, Tree Trimming Shoreview MN. Bookmark the permalink.